Has anyone had any issues with Beedspeed recently? I’ve used them in and off for 20 years but over the last 5 weeks they’re been messing me around something rotten. I got a call from them 5 weeks ago asking if I was still after a Lambretta long range tank with no cutouts in primer as they had a couple in stock. I ordered one and they sent me one with a RH cutout. I called and they said they didn’t have any with no cutouts in stock but offered a stainless steel one at the same price which I didn’t want so I returned the tank for a refund. I get a call from them saying that they’ve found a tank in primer and did I want the tank instead of a refund which I did. I received the tank and the first think I notice is that it’s got no fittings with it. Then I notice that the primer is coming off and it’s actually a stainless steel tank that someone had blown over with great primer. Are they taking the P?? I phone them and complain and return the tank. 2 weeks later an 3 phone calls later and still no refund. If I don’t have a refund by Monday then the next call I make will be to my credit card company to disputed the transaction. Not had any problems lately because I have definitely NOT dealt with them for years!! Read all about Beedspeed on Facebook page “ Got a gripe about a scooter seller or dealer” page , looks like loads of people have had issues withbthem in recent weeks. 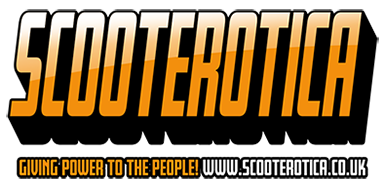 Personally I bought a few bits from them back in 2016 when i was new to scooters and didn’t know any better, quite a lot of the parts had to be returned due to poor quality or simply wrong. I even got a full set of cables from them once that were meant to go to somebody else! I got the other guys address from them and forwarded them on. Yes! I had a nightmare with them a couple of months back. Ordered a load of bits, got an email that some are out of stock (even though they were showing in stock) and what would I like to do, I asked to send what they had and refund me for whats out of stock. Few days later I received the parts and awaited my refund (£45 through PayPal). After about 4 weeks and multiple ignored emails for my refund I had to claim the money back through PayPal which i got back. I certainly won't be using them again. Used them for donkeys years, not anymore! Wow, i am really saddened and a little surprised. Beedspeed have been stalwart scooterist supplies to me since the late 80s and i rarely had an issue with them. Hopefully its a glitch, sh+t does happen after all. According to form the problems started when Alan Beedman sold the business a while back, all on that fb page. Scooterdude, that makes sense then, its a different animal, so sad. Well i still got good memories of hankering after those legendary beedspeed drops from back in the day.